The decision to use black glass for the new product hails from the fact that the wine is a blanc de noirs, which means that it is a white wine made from a dark-skinned grape – something made possible by pressing the berries gently, as the colour pigments are in the skins, while the pulp – which yields the juice for winemaking – is clear. In fact, the wine is made from a blend of red grape Garnacha, along with its white relation, Garnacha Blanca (or white Grenache), using fruit from Chivite’s native Spanish region, Navarra. 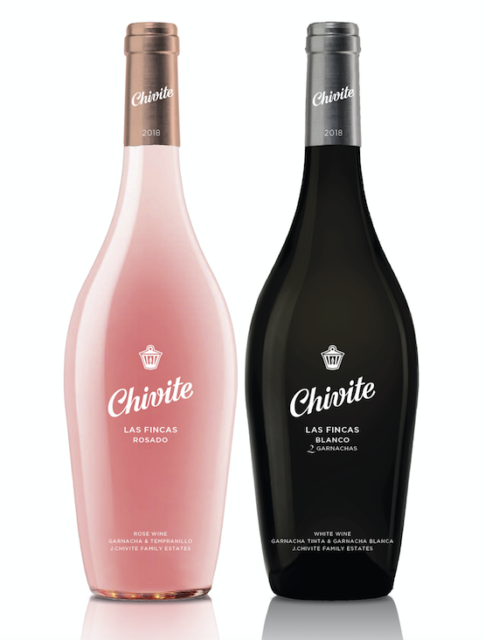 The new product comes under Chivite’s Las Fincas label, that was created four years ago for a Rosado from the producer’s Finca Granja de Legardeta estate as a homage to renowned Spanish chef José María Arzak – who is a great friend of Julián Chivite. The same vineyard is the source of Chivite’s Colección 125 Chardonnay, which is considered one of Spain’s best white wines. Julián told the drinks business at ProWein in March this year that he believed it was the only wine from Spain to come in a black bottle. Just a few wines are associated with black bottles, the most famous of which is Germany’s Black Tower, although today it comes in a two-tone bottle. Another is the Black Label Shiraz from Australia’s McGuigan Wines. However, db believes that the new Chivite product is the only white wine on the market at the moment that comes housed in a completely black bottle. The new wine is due to hit the market next month, and will come with a similar retail price as the Rosado, which sells in the UK for around £16.